Do I like to prepared? Do I like a bargain?? Its 329 days until Christmas! Most of you are properly thinking we have only just celebrated Christmas, why is she talking about Christmas??? However I have something to admit! I have already been getting Christmas/Birthday presents for everyone in my family this year. I love to start early! 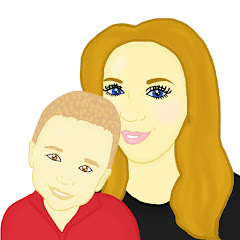 I can not go into detail about what I have already brought my family as they read my blog however Maxwell already has a few treats which have been hidden in a box that are ready and waiting for him to use. I love a bargain and sometimes can not stop myself buying things, I also win things which helps me make sure everyone is a little spoilt on their special day. This week I got a huge bargain and I may have to give Maxwell it before Christmas because I love it so much and I just know Maxwell will as well. However I managed to buy him a Mega Bloks Race car Twirl and Whirl! On Friday night I was lucky enough to win a Amazon voucher - Just £6. 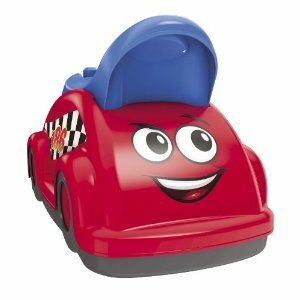 I waited till Saturday morning to have a quick search on Amazon and found this Race car on the Amazon website in the sale. £25 reduced to £8.50, so I quickly snapped one up. I added my Amazon voucher and managed to bag this for just £2.50! Bargain! The start of the week brought me new happiness, I woke up to found I had won some more bits, a top for me and something else for Maxwell. 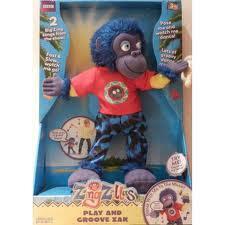 A ZingZilla Doll that Maxwell will love! The doll dances and sings. Maxwell is a bit to little to use at the moment however he has really got into dancing and when he is a little older, I think this is something he can play with and appreciate. Finally I found a old box today of things that I have had a while and I found some things I brought/won last year for Maxwell however I had completely forgot about them. All which will be great for this years Christmas/Birthday. Each month I hope to continue to add to my collection and by December I hope it has built up enough so I do not have to go out and do any shopping. Am I the only one to be prepared or do you start collecting presents for Christmas early? I am with you! i have all the families birthday presents and 80% of this years Christmas is already sorted and bought! I am with you, nothing like being organised and grabbing bargains! Well done on your wins. :) Last year I tried to win every ones Christmas presents. I won a few bits but mostly ended up having to buy but I started later in the year so I'm hoping if I start a bit earlier this year (ie now!) I might have a chance of winning a bit more! Christmas can be so expensive- I think it's a great idea to get a few bits throughout the year and save some £££s!